Family Nurse Practitioner needed for Urgent Care/Family Practice in Central Phoenix. Monday – Friday, no weekends or call. Internal Medicine group in the West Valley looking for an experienced PA or NP with at least 2 years internal Medicine experience. Will see 20-25 patients per day, EMR is Eclinicals. View a current list of nurse practitioner jobs here. Looking for help with nurse practitioner recruitment? Contact us at dmc@desmedcar.com. For over 15 years, Desert Medical Careers has been the trusted, go-to staffing agency for healthcare facilities across the Valley. Our unique approach to personalizing job placements ensures that the connections we make between job candidates and healthcare organizations aren’t just good matches – they’re exceptional ones. When it comes to managing the everyday flow of your healthcare facility, you have enough on your plate. DMC can help lighten your workload by taking over the time-consuming efforts of filling new nurse practitioner positions at your facility. We post the job listing. We review all the resumes. We filter the long list down to the few most qualified candidates. While we take over the recruitment efforts for a new nurse practitioner, you can remain focused on managing the day-to-day activities of your healthcare facility. If you’re searching for help with staffing, simply contact us at dmc@desmedcar.com. If you’re searching for nurse practitioner job opportunities at respected Arizona medical facilities, DMC can help you, too. For over 15 years, we’ve been establishing strong relationships with numerous medical organizations that exclusively depend on DMC to staff their offices. 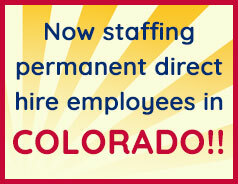 That means you’ll find nurse practitioner job openings here that you won’t find anywhere else. If you’re interested in applying for a position, simply send your resume to dmc@desmedcar.com. Website Development by Digital Dogs, Inc.